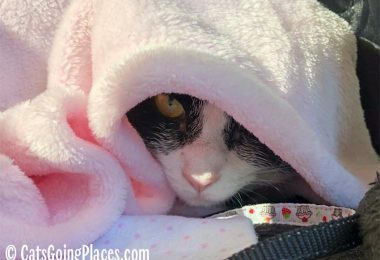 For several years now I have been traveling to the BlogPaws social media conferece. Last year I took Chanel and met Julie and Cupcake there. You do have to be a little more vigilant in the room however. 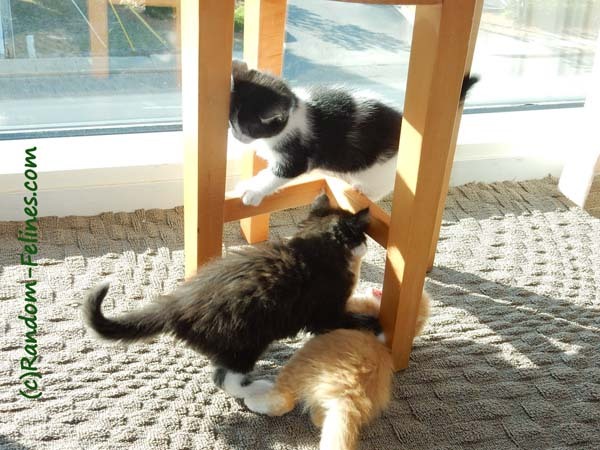 While an adult cat can certainly sneak into strange places, kittens are even better at that game. Between being smaller and more curious, they will find any space you have missed. In Myrtle Beach, Julie and I were sure we had the spaces closed off and then came back to the room one afternoon and there were NO kittens to be found. Turns out the platform was much smaller than the mattress and the kittens had found a space to crawl up under the mattress and into the platform box. 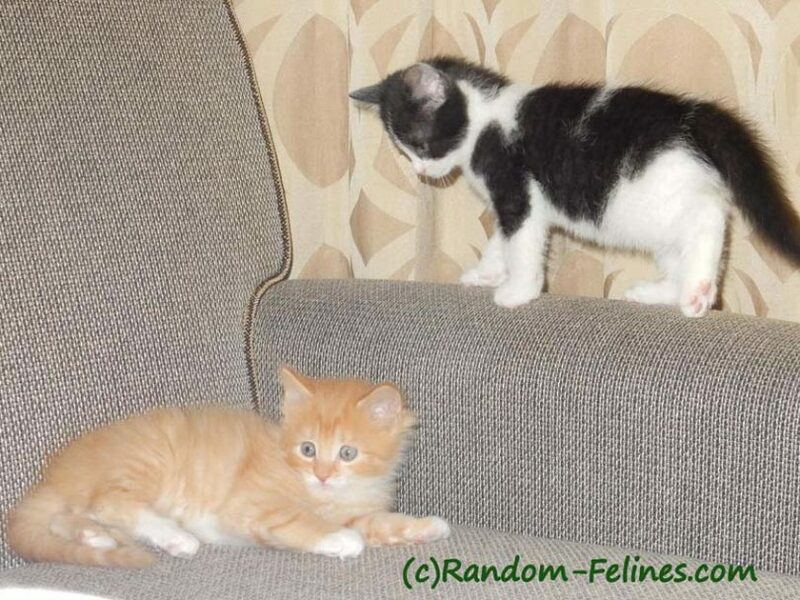 The first time the kittens pulled this, we pried up the mattress and fished them out. After the second time we discovered they would come out on their own if we talked for a few minutes. However, at another conference in Nashville, the kittens disappeared completely. They had gone behind the curtains…all the way to the corner of the room and behind a chair. It took us about 5 frantic minutes to figure out where they were and discovered they were piled up and sound asleep. 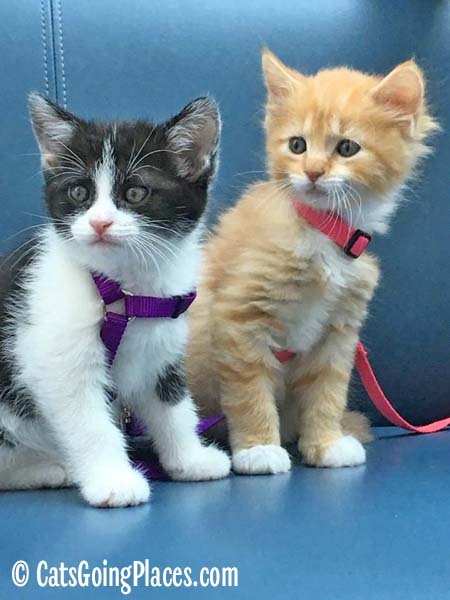 The nice part about taking kittens to conferences like this is that they get a chance to experience something other than being in a foster home. 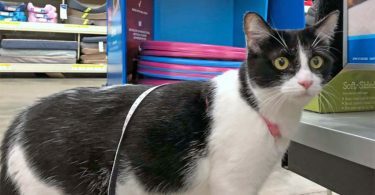 They are out in public, wearing a harness and leash, meeting other people and other animals. Their socialization gets a quick and intense start. 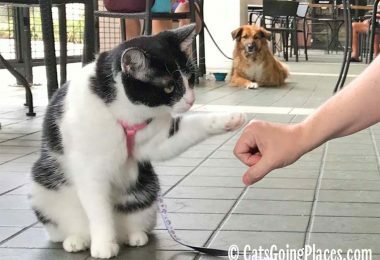 Most kittens deal with it very well. Though that said, I try to be careful about what kittens I take to these events. In this case, I took 3 of the 5 design kittens. Chanel didn’t go as she was fairly shy at that age (feel free to laugh) and their brother Versace was….a biter. Once I figure out who I think will work out, then it is a matter of packing up all their stuff and getting to the event. At something like this, kittens definitely do better in short exposures. I will keep them out for a couple of hours at a time. Just to make sure they don’t get overwhelmed and also to make sure they get a chance to get back to the room to get a snack and use the litter box. The most important thing to remember is that they are babies. There are some harnesses that come small enough for 8 week old kittens. However, one of the harnesses I used was actually a ferret harness. It fits better than I had anticipated and didn’t have to be adjusted down too far. 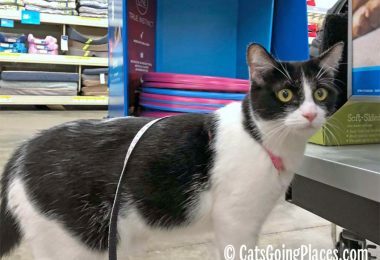 While I did give the kittens a chance to get down on the floor and explore, the harness and leash was more for their safety to keep track of them. 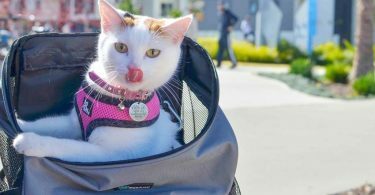 The earlier you start with getting them to wear a leash and harness the easier it is to get them to wear it with no issues. The other nice things about conferences is that people see kittens and get all excited and want to carry them around. I never let them out of my sight unless they are with someone I really trust, but it is great to let them get passed around and discover that new people are great and lots of handling is no big deal. Plus there are other animals present. Mostly other dogs and cats, but one of my kittens did meet a ferret when we were in Nashville at another conference. I try to make sure that the kittens are protected as some other people aren’t always careful or attentive with their animals. I say every time that my most important key to these conferences is keeping the kittens safe. But if you have a chance to start exposing your kittens as early as possible, give it a try. That last picture makes me laugh every time!! I love the tip about the ferret harness! I love conferences, and I think it is a great idea to get kittens out and about as young as possible.  Cat shows only allow kittens four months old and up to attend, so it’s important to find places for them even earlier than that – and conferences are great introductions to the big, wide world. Ferret harnesses! 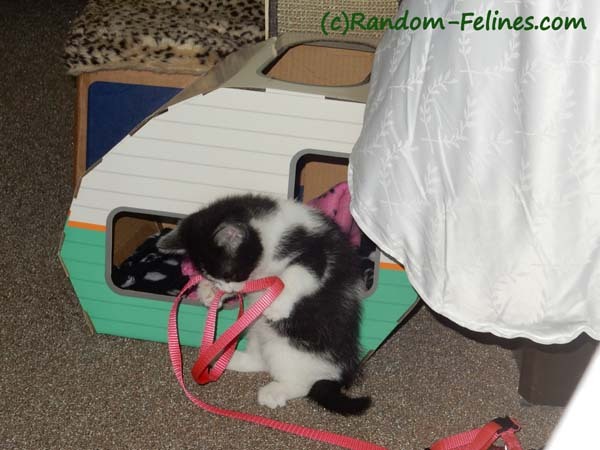 I have not been able to find one small enough for training the foster kittens early.